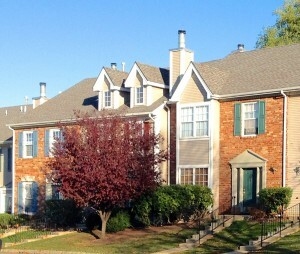 Bridgewater Township had 6 condos that sold and 4 that went under contract this week. 2 condos in Vanderhaven Farms closed this week. Both units are multi-floor interior units with 2 bedrooms, 2 full baths, 1 half-bath and 1 fireplace. The unit on Doolittle Drive listed for $248,000 and sold on 12/16/14 for $245,000. The unit on Pinhorn Drive listed for $259,000 and sold for $222,500. 2 units sold in the Beacon Hill section of Bridgewater Township. Both condos are multi-floor interior units with 2 bedrooms, 2 full baths, 1 half-bath, 1 fireplace and a 1-car garage. The unit on Ackmen Court listed for $349,000 and sold on 12/15/14 for $345,000. The unit on Winder Drive listed for $350,000 and sold for $343,000 on 12/15/14. A unit on Dartmouth Avenue in the Finderne Heights section closed on 12/16/14. This is a one-floor unit with 2 bedrooms and 1 full bath. It listed for $129,000 and closed for $115,000. The Crossroads community had a unit on Bonney Court that closed on 12/15/14. This is a multi-floor interior unit with 2 bedrooms, 2 full baths, 1 half-bath, 1 fireplace and a 1-car garage. The list price for this condo is $319,900 and the sold price is $308,500. Two condos went under contract in the Stratford Place section of Bridgewater Township. They are both one-floor units. One unit has 2 bedrooms, 2 full baths and a fireplace. It is listed for $199,900. the other unit has 2 bedrooms and 2 full baths. It is listed for $208,000. Bonney Court in the Crossroads community also had a condo that went under contract this week. This is a multi-floor interior unit with 2 bedrooms, 1 full bath, 1 half-bath and 1 fireplace. The list price for this unit is $299,900. A unit on Patterson Street in the Glenbrooke section went under contract on 12/18/14. It is a multi-floor interior unit with 2 bedrooms, 2 full baths, 1 half-bath, 1 fireplace and a 1-car garage. The list price for this unit is $$349,500.